Weird: Forty degrees in January. We all appreciate a January thaw but this last week was weird. Rancher Lee Spann told me Monday that the weather has been decent from his perspective so far this winter. He said December was pretty warm. He said there’s only been perhaps one –20 degree day so far this winter and in the past there’d be a good stretch about now. “I understand winter in winter and I appreciate warmer days but one thing I don’t like is winter in spring,” he said. Fair enough. As a skier as opposed to a rancher, I might add to that I’m not a big fan of spring in winter, which is what we’ve experienced this week in a literal January thaw that is melting snow and making it harder to get the Extremes open. I like cold and snowy in January. These temperatures and “Global Weirding” are weird. Not Weird: A mountain lion at Hartman Rocks. I talked to a woman at the Colorado Parks and Wildlife office this week about the mountain lion encounter with a local dog at Hartman Rocks. No one, including the dog, was seriously hurt. The Parks and Wildlife woman reminded me that pretty much the entire county is mountain lion territory. There have been sightings near Gunnison, near Crested Butte, near Powderhorn. Lions like the wild and they eat a lot of deer. There are plenty of both in this county. So while I’ve yet to set eyes on a wild mountain lion, it shouldn’t come as a surprise that they are out there setting eyes on us. We live in a wild place. We share our homes. That is wonderful. Just be aware. Weird: Charging hundreds and hundreds of dollars for a family of four to ski a day in the Rockies. 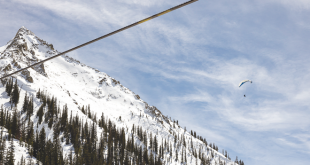 Vail increased the price of a one-day holiday ski lift ticket to $159 last week. Breckenridge, also owned by Vail, upped its lift ticket price to $145. Aspen was about $130. Now, the common wisdom is that no one pays that retail rack rate. Part of the motivation apparently is to get people to buy tickets early for a discount or buy the $729 Epic Season Pass that allows access to a plethora of resorts owned by Vail. CBMR was charging $106 for walk-up one-day holiday lift tickets. This week they are $103. I’m not saying it’s not worth the three-figure prices, given costs for things like going to a Broncos game or Disneyland, but this sport isn’t for those light in the wallet. I know my kids would be great bowlers instead of great skiers if we didn’t live here. It just seems weird that it costs so much to ski. Let me say now, I’m glad CBMR is pricing its season passes competitively. I think we all appreciate that. But while Vail might cater to the world’s 1 percent, most of the other resorts in Colorado might think about making sure middle-class families can afford to get hooked on the sport. You want numbers coming 10 and 20 years from now. 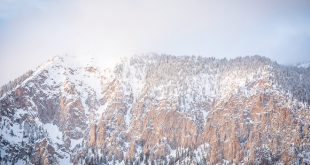 Not Weird: The variable avalanche danger in the backcountry. Early snow and some very windy days have made it weird out in the backcountry. And that’s not weird. So be careful and observant and cautious on the hills surrounding our valleys. Weird: The council thinks it’s a bit weird, and I agree, that there hasn’t been much comment about the proposed annexation in Crested Butte. Part of that might be that the developers appear to be working very well with the town staff and appear open to suggestions at this early stage in the game. But as the council made clear Monday, now is the time to throw out your opinions if you are fundamentally opposed to any annexation to the town. The council doesn’t want to be riding the train and have a “Gang of No” show up and derail the process just as they’re getting close to the final destination. There will be lots of time between now and a final decision to speak your mind over details, but now would be a good time to express your feelings on the general idea of adding to the town. Actually, now that I think about it, it might not be weird that those opposed to any annexation have stayed quiet and might try to derail any plan at the last minute. Not Weird: It was busy, really busy in town and on the mountain over the holidays. It used to be pretty much like this every Christmas and New Year’s. But then several things came into play. There was uncertainty in the general economy. The difficulty in getting here compared to other resorts seemed to be worse than usual. What I would characterize as some shaky decisions to focus the resort away from “fun” and toward real estate I believe pushed people away from coming back. That balance seems to be shifting back. 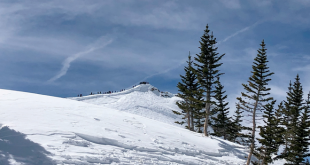 As I spoke with a few local business owners recently, they said that many guests here in the past few weeks said it was time to check out the Crested Butte they’ve been hearing about. And many seemingly heard about it, according to the business owners, from the Bud Light Whatever promotion. Lord knows, Whatever got the Crested Butte name out and it seems to have spurred some movement to check this place out. Apparently, Crested Butte came across as fun last September. Now it is up to the community to see if they come back. Weird: Many could argue that much of the original weirdness has disappeared from the town. There are still flashes, but flashing now would likely get you arrested whereas 30 years ago it might have gotten you married. In that vein, Connor Hagen is in town to film a documentary about the early ski days. He wants to document the transition from mining town to ski town. That included some weirdness. I can’t wait to see what he comes up with. Hopefully, it will be a little weird.